I had just finished up a FacebookLive with Alexandra Boiger, illustrator of She Persisted, when my editor called. And the amazing social media guru who had been recording the FacebookLive, whipped out her phone when she heard me say: WHAT!? So this was my real-time reaction to hearing that The Light We Lost became a New York Times best seller. 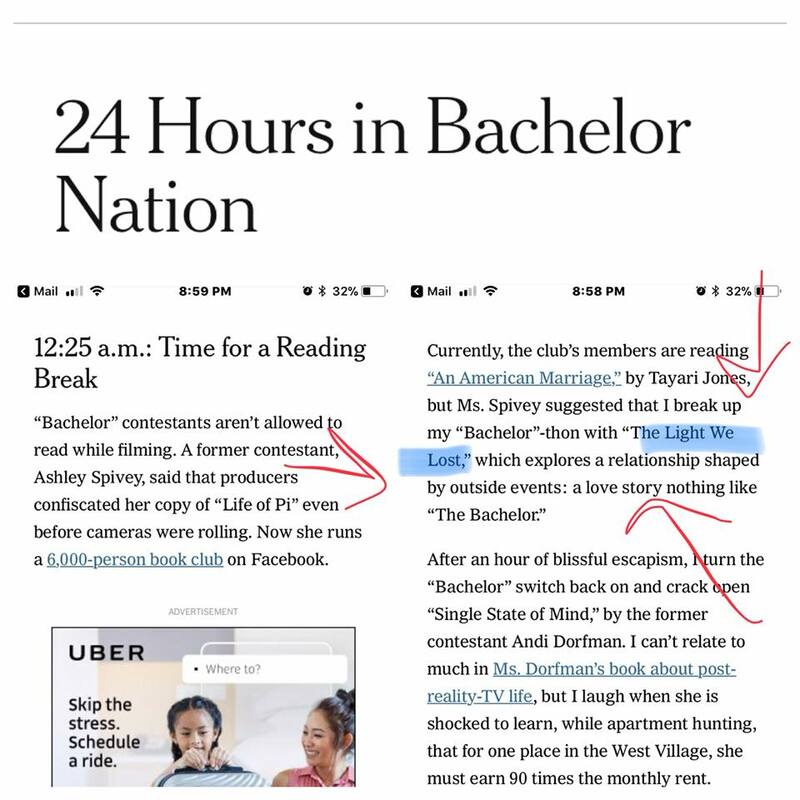 The Light We Lost is a New York Times best seller!!! I am so filled with gratitude and happiness. 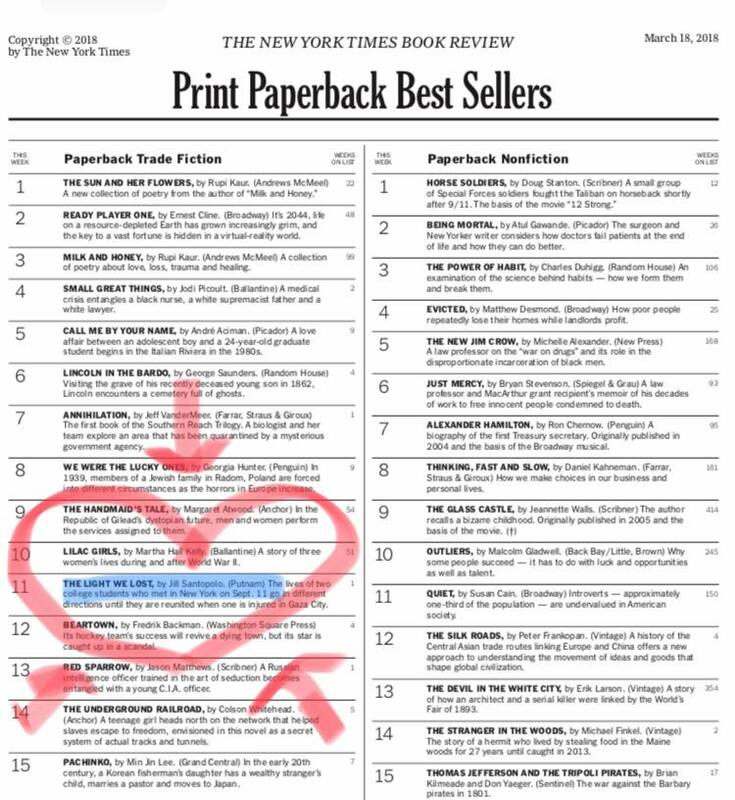 Thank you to everyone who helped make The Light We Lost a New York Times bestseller!!!!!!!! !